Welcome to the Mississippi Valley State University Alumni website! The Mississippi Valley State University Alumni Community is an online resource for alumni, parents, faculty, staff, students, and friends. This is uniquely created to enable you and all members of the MVSU community to receive communication pertinent to all things of “The Valley”. 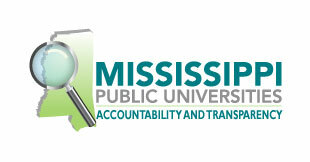 Our alumni community is vital to enhancing the mission of Mississippi Valley State University. The need for engaging alumni with Mississippi Valley State University is greater now than ever before. Every person connected to MVSU plays an integral role in sustaining the University; thus, there is a pressing need for financial support and volunteerism. The alumni of Mississippi Valley State University are essential stakeholders in ensuring the success of this magnificent institution, and it is supporters like you who truly continue to make our University a guiding light in the lives of many young people. As you are aware, Mississippi Valley State University is a 501(c) (3) organization and your gift to the institution is tax-deductible. Please visit the “Online Giving” section to make your online contribution today! Thank you in advance for your generosity in supporting the legacy and viability of Mississippi Valley State University. Your contributions undeniably strengthen and ensure the longevity of this esteemed Institution.